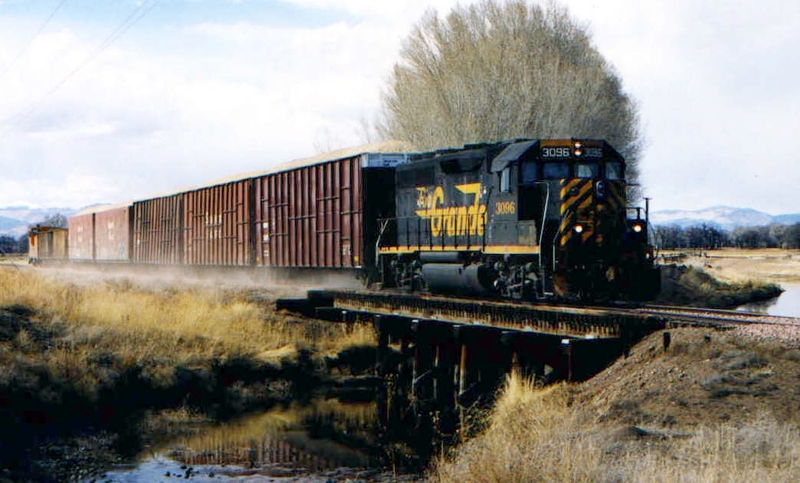 This website is devoted to Denver & Rio Grande Western and the operations in San Luis Valley. You will find information about both the prototype and my attempts to model the operation in HO-scale. My interest in American railroads started 1996 when a friend convinced me that American railroads were more interesting than Swedish. It didn't take long before my interest focused around the Denver & Rio Grande Western railroad. 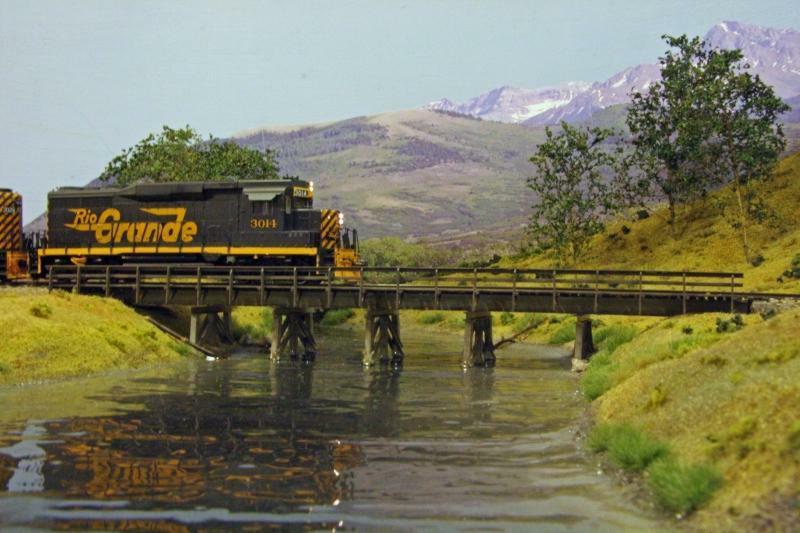 I read some articles about D&RGW in Trains and become fascinated about the nature in Colorado. I made up my mind when I read the article "Hard road to Alamosa" written by Steve Rasmussen, see below, about the traffic in the San Luis Valley. Alamosa and the traffic in the Valley is going to be the part of D&RGW I'm going to model. Alamosa was until the end of the 60s a busy railroad center with both narrow and standard gauge. Steam locomotives from the beginning of the century and modern diesels shared the same tracks. I visited the valley together with a friend from Sweden in March 1998 and March 1999. It was still a nice place to spend time rail fanning. The PUAMM leave Pueblo and arrive in Alamosa early in the morning every weekday. They split up the road power in Alamosa and use them for the two locals in the valley. One local heads west to South Fork and one local goes south to Antonito. Occasionally they run a train over the pass to La Veta with cars left over from the day before. This train is called "La Veta Turn". The train back to Pueblo, AMPUM, leaves Alamosa late in the afternoon and arrives in Pueblo at midnight. They still used cabooses both on the train from Pueblo to Alamosa and on the the two locals in the valley. You can read more about the valley in the travel report from our visit in 1999. Steve Rasmussen has written the book "The Rio Grande's La Veta Pass Route" it contains over 400 photos in it's 290 pages about Rio Grande in the San Luis Valley. It's an excellent source for information about Rio Grande in San Luis Valley. He covers both the history and the modern times. I can recommend the DVD "Living La Veta Loco!" if you would like to watch some live action from the valley during the last years of Rio Grande ownership. It's the only DVD or video I know of that focus on the modern time standard gauge operation in the valley. There are numerous videos about the narrow gauge operation. "Living La Veta Loco!" is available from Tell-Tale Productions. Rail America bought the complete branch from UP and started the daughter company San Luis & Rio Grande Railroad. San Luis & Rio Grande Railroad is today owned by Iowa Pacific Holdings. They operate the branch five days a week and interchange with SLC in Sugar Junction and UP in Walsenburg. They also operate some different tourist trains.